David Lopez forwards this image of a car we haven’t seen for many months – the Cupra GT (now called the Cupra GT2). 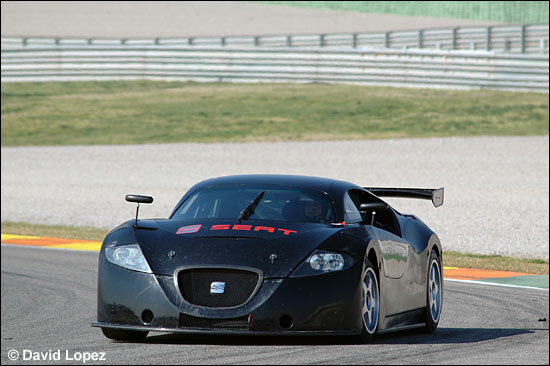 It was seen testing at Valencia this week, driven by Michele Ligonnet and Ronald Severin. It is apparently running in ‘GT2’ spec., so perhaps Sergio Fonseca will be chasing up the news on this car for us? The car set a best lap of 1:39.6. Also present was an Oreca Saleen, with Stephane Ortelli driving. Contents Copyright © dailysportscar.com. All Rights Reserved.